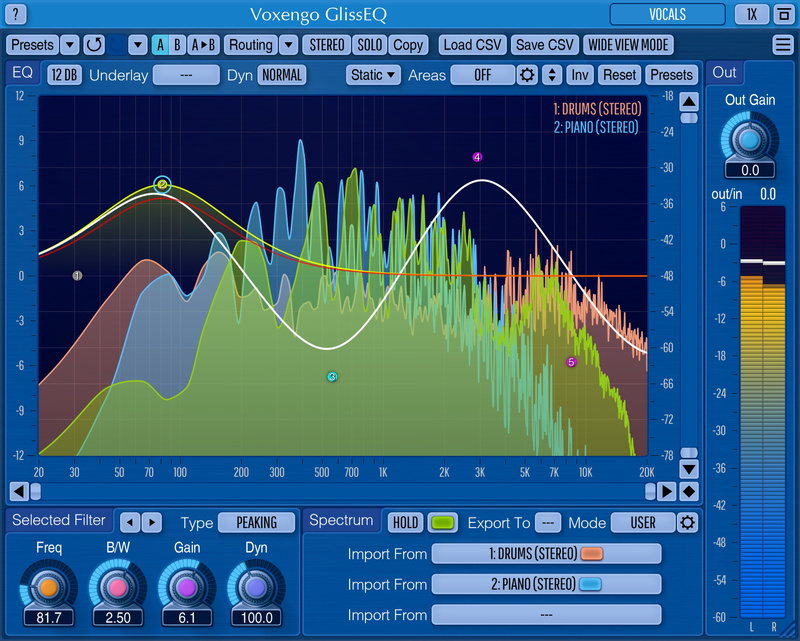 GlissEQ is a parametric equalizer AU and VST plugin for professional music production applications. The most interesting and unique feature of GlissEQ is the dynamic behavior of its filters. You should notice these immediate benefits: boosting highs with GlissEQ tends to avoid the fatiguing effect of overload. And boosting lows avoids making things sound mushy. Instead, you get a pleasant emphasis of transients, bringing life and dimension to your tracks. In short, the "dynamic behavior" of GlissEQ's filters gives you a helping-hand during mixing and mastering.